Along the frozen banks of Russia's Ob River in the Electrical Engineering Laboratory of Novosibirsk State University, more than 20 blond-haired, blue-eyed students are working with D-Link high-speed Internet routers. On each desk is a Russian-language Internet communications instruction manual published by D-Link. In Novosibirsk, where the Chinese population can be counted on one's fingers, D-Link is establishing a complete, fully staffed marketing and technical service unit. More than 4,000 km away in Dubai, tourists pack an enormous indoor ski slope and schuss down the slope in the middle of the desert. Right next door, an entire row of display windows looking out from an electronic goods shopping complex showcases D-Link products bearing the company's green logo. "D-Link is maintaining 40-percent sales growth in its Middle Eastern markets," says Yang Yao-chuan, the company's vice president for international sales. "We're still not satisfied with this pace of growth." We move next to Banco do Brasil, the Southern Hemisphere's largest bank, a hundred year-old institution which this year acquired another major state-run Brazilian bank establishing a banking Goliath with more than 12,000 branches. To ensure all financial data is accurately transferred through their network without a hitch, the bank sources all of its network routers from D-Link. "In Brazil, we've beaten global network communications giant Cisco," D-Link president and CEO Tony Tsao says with pride. Half of Brazil's broadband Internet users access the Net through D-Link equipment. D-Link is the world's largest SOHO/small-to-medium-sized enterprise network communications products brand with a 20-percent global market share and has been listed as one of "Taiwan's Top Ten International Brands" for five consecutive years. D-Link has established 127 sales and service centers in 62 countries, and its products are sold in 170 nations. "It seems there isn't a country anywhere where you can't see D-Link stuff," even Foxconn vice president S.Q. Lu says, marveling at D-Link's degree of internationalization. 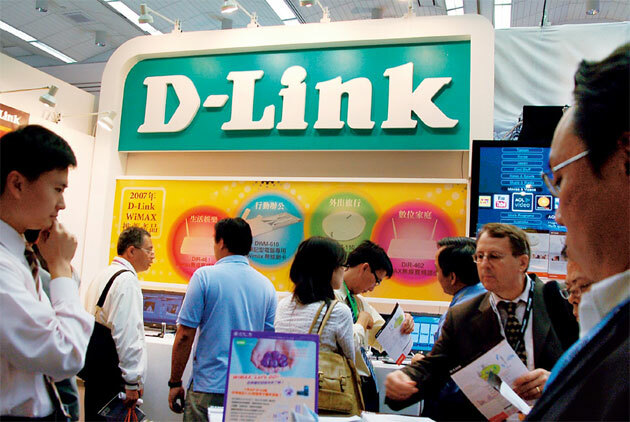 D-Link took in NT$25.6 billion in combined global operating revenue in the first three quarters of this year, a slight 5.3 percent increase over the same period the previous year, while maintaining the same profit margin of better than 30 percent that has been its hallmark for years, despite the looming shadows of the global economic downturn. While its competitors are suffering amidst the rapid contraction in European and American consumer markets as a result of the U.S. financial meltdown, D-Link has been able to hold steady in the face of the financial tsunami, mostly by diversifying its single-market risk by focusing on emerging-market operations. "Taiwanese companies normally zero in on the three major markets of Europe, the United States and China, but D-Link has been intensively cultivating Third World markets unfamiliar to Taiwanese companies," the chairman of one Hsinchu Science Park-based network communications company says admiringly. The tentacles of the D-Link brand now extend throughout the world. In the first half of this year, Asian and emerging markets accounted for 57 percent of D-Link's operating revenue, while European markets accounted for 23 percent and North America just 20 percent. "Unlike other Taiwanese companies which only have market leadership in a handful of regions, D-Link ranks in the top three in probably more than 60 countries," says Chuang Hung-min, deputy director of equities investment and research at PCA Funds. Last April, D-Link chairman Ken Kao passed away. Since July 1, the man at the top of the world's number-three network communications company has been Tony Tsao, who led D-Link’s entry into more than 40 emerging nations, in 10 years recording not so much as a spot of red ink, and generating a huge slice of the company’s revenues. D-Link's International Sales Unit is charged with developing emerging markets outside mainstream markets in North America, Europe and "Greater China." "We specialize in striking into countries where Taiwanese don't want to go, even wild, lawless areas that can barely be found on a map," Tsao says. A somewhat diminutive, highly ebullient man, he always manages to find the positive in things and maintain an air of optimism. He sees the arduous task of opening Third World markets as a challenge and an opportunity to test his limits. Ten years ago he landed at D-Link having just left IBM. After only five days and before even getting to know colleagues in his department, he was sent to Australia to put out some fires within the company there. His second week, he was dispatched to handle an Indian subsidiary that was sliding into crisis. Less than 10 days later, he found himself in Brazil chasing down outstanding accounts receivable. "The nine-employee Australian subsidiary had lost nearly US$2 million and the Australian general manager was also suspected of embezzlement. He was sacked and an investigation begun," Tsao recalls. Seemingly always coming on in the role of relief pitcher in times of crisis, Tsao found that the major cause of the problems in both Australia and India had been D-Link's sole reliance on local agents for its market operations at that time. "Joint ventures are doomed from the start," he says. "The two sides are sleeping in the same bed but dreaming different dreams." The local agents were interested in sales profits but paid no mind to brand management, so he began to retrieve the brand's distribution rights from local agents. After successfully defusing bombs in Australia, India and Brazil, Tsao began to ponder how to pan for gold in these neglected markets. 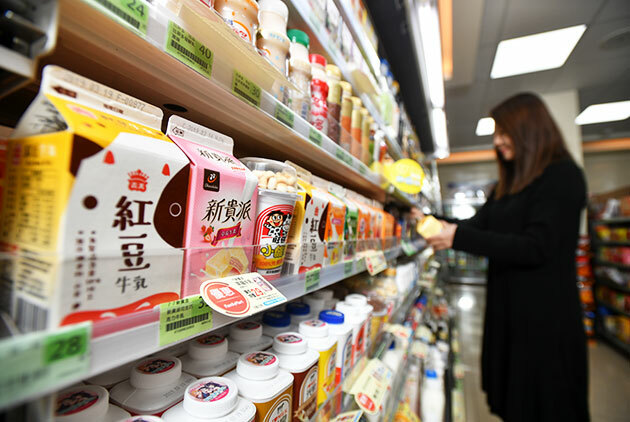 "In particular, mixing it up with major international players in advanced markets like the U.S., Europe and Japan can nearly kill Taiwanese companies," Tsao concluded. "Better to strike boldly into the neglected markets of Third World nations." 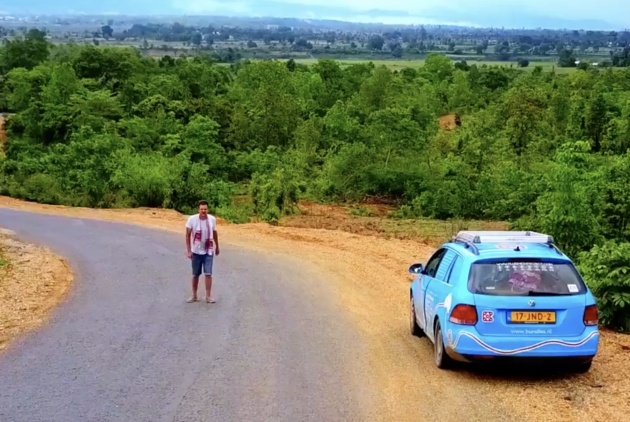 So, like a traditional Taiwanese small-to-medium-sized business owner, Tsao packed up his suitcase, bought a round-the-world ticket requiring him to move in one direction and set off on his own. He flew to Chile, Brazil and other countries, establishing relationships with local trading companies who often spoke very little English. "It was actually quite isolating, but if you can get past the loneliness, the market is yours," Tsao says. "No other company is as down-to-earth as D-Link," according to one overseas capital analyst. Tsao's approach to international brand management is to patiently and methodically address the most nettlesome of impediments to distribution, sales and service and gradually resolve them one by one. After 15 years working with D-Link, Yang Yao-chuan has an in-depth grasp of the company. "Whenever D-Link smells potential in a market, it dives right into operations; there is never any indecision," Yang says. "The D-Link team habitually strikes gold in the most inhospitable of environments," Tsao declares. When Taiwanese companies discuss African markets, they generally mean South Africa, but D-Link has turned the tip of its spear toward markets Taiwanese companies overlook, such as Kenya and Nigeria. D-Link took in US$2 million in operating revenue from its Nigerian operations this year and expects triple that next year. To reduce the risk posed by delinquent accounts, "D-Link's policy is that no single client account for more than 10 percent of operating revenue and to only establish relations with the top five players in the business," according to company chief financial officer Chen Rui-xu. In high-risk areas, D-Link extends credit cautiously, requiring default insurance and collateral in the form of time deposits. Times of economic downturn have proven to be the best opportunity for D-Link to put distance between themselves and competitors. "Every time there's an economic crisis, D-Link has shown rapid growth," says Chen. During the Asian financial crisis of 1997, D-Link seized the opportunity to march into Southeast Asia, forming a strategic alliance with a major international player, integrating product lines and taking no prisoners in a depressed market. When entering foreign markets, Taiwanese companies routinely hire local overseas Chinese or dispatch management from Taiwan. In contrast, D-Link recruits its personnel from the local population in each market country. "In a global market the most important thing is to find the right people and have thoroughly localized management, not spending massive sums on advertising," Tsao says. When entering a newly emerging market, Tsao spends the most time on intensively searching for personnel. The first order of business is to conduct interviews to find four experts in four areas: accounting, marketing, systems integration, and media. In this manner, the company can "rapidly gain an understanding of local market movements while getting a leg up on finding appropriate personnel." So just how internationalized is D-Link? With more than 120 subsidiaries and a workforce of more than 1,700 overseas personnel, "Taiwanese nationals account for less than 0.1 percent of the workforce," according to Tsao. In the Russian market, which accounts for about 20 percent of sales, D-Link's 31 subsidiaries do not employ a single Chinese, but rack up about US$200 million in annual sales. "D-Link specifically looks for personnel with entrepreneurial spirit to forge a cooperative culture of full authorization and ownership," Tsao says. One of D-Link's Russian sales units went from annual sales of just US$300,000 ten years ago to an historical high of US$20 million last year. Focusing solely on sales is inadequate for operating in international markets; inexhaustible logistical support is also required. As the majority of D-Link's clients are systems integration firms, along with the relatively high unit cost of network routers and the high technological level required for maintenance, D-Links operations in a globalized market are most concerned with whether or not a local technical-support team has been established. D-Link's international brand management does not emphasize excessive spending on advertising, rather ensuring that each penny is spent on establishing adequate logistical support for its sales and service operations in each country. "D-Link's corporate headquarters isn't for the management of overseas subsidiaries, but to provide product maintenance and financial services to subsidiaries in each area," Tsao says. Wherever business takes D-Link, its service team takes up residence soon after. According to Lilian Tseng, director of D-Link's sales management center, the company has set up 31 operations service centers all along the 9,000-plus km Trans-Siberian Railway. "We've got two- and three-man service teams in cities most Taiwanese have never even heard of," she says. When Yang Yao-chuan took charge of D-Link's Middle Eastern markets, he went full bore after the Iran market. D-Link is looking to take advantage of Iranian hostility toward the U.S. and its fear of sourcing American brands for its network communications needs to avoid leaking sensitive information. Last year, D-Link's markets in the region recorded US$4 million in sales. The company expects to reach US$9 million in operating revenue in the region this year. "If there is no impact from the financial crisis, sales growth in the Middle East will be even higher," Yang asserts. "If you have the guts and determination to give it a go in newly emerging markets, then there is an opportunity to create a new paradigm," Tsao says. "There is no magic in operating in international markets, only the basics. If you get the basics right, the market is yours."